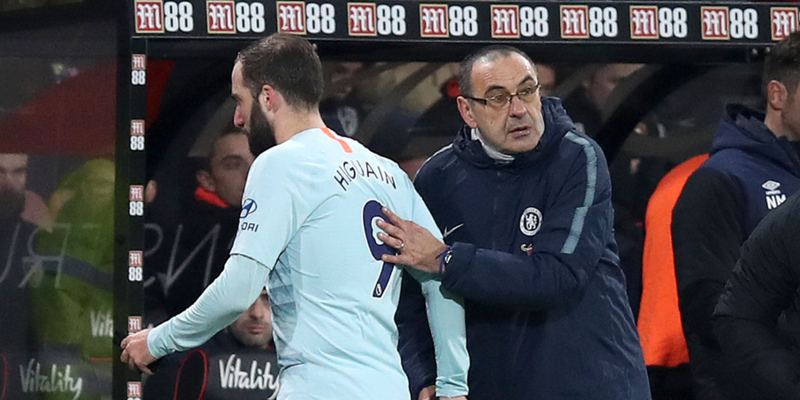 Maurizio Sarri has insisted he wants Gonzalo Higuain to stay at Chelsea despite the striker’s struggle to make an impact in the Premier League. Head coach Sarri pushed hard for the club to bring in Higuain, who previously played under him at Napoli. However, Sarri again acknowledged that Higuain “needs to improve” and is not finding the transition to English football easy. Speaking at a media conference on Friday, Sarri also pointed to the example of former Liverpool striker Luis Suarez, who took time to settle at Anfield before becoming one of the Premier League’s top players. Sarri added: “He (Higuain) needs time to improve his physical condition and needs time to be suitable for the Premier League. sarri is becoming a scam. Higuaine can’t make it in premiership.. He is old and struggling.